The final thing I made for our not-picnic-tea was this salad. I wanted to make a potato salad so that we had a slightly more diverse range of food than just a standard lettuce-based salad, but I don’t usually make potato salad; so I needed a recipe to follow. This was one of the few potato-based salad recipes that I seemed to have in the house. I wasn’t sure how well it would work out as it was a fairly simple recipe, but it was actually one of the tastiest elements of our Saturday evening tea. The recipe is really basic – boiled new potatoes with fried onions and celery. Dan ended up frying the celery, even though the recipe said not to, and this actually worked out really well. The dressing was a mixture of mayonnaise, olive oil and lemon juice. Dan wasn’t sure about the mayonnaise as it had been in the fridge for a while, but it transpired that it tasted fine, and the salad (whilst nice without it), worked really well with the dressing. My brother and I ate most of a salad made for 4 people in one sitting. Definitely one we’ll be making again, although I’m not entirely sure why it’s in a Christmas collection. This most definitely felt like a summer (or maybe autumn) salad. Oh, and sorry – no photos again. Far too busy cooking and eating. 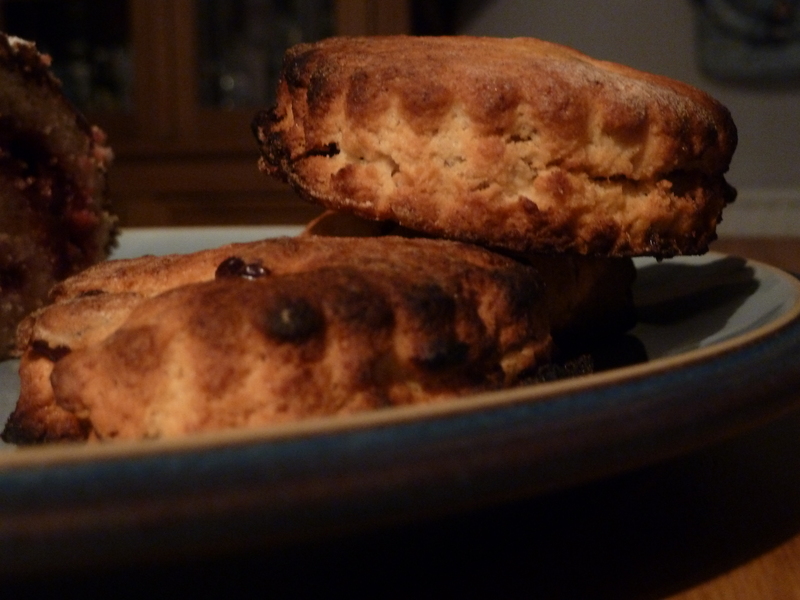 To go with our not-picnic tea, I also made cream-tea-esque scones. It may have been overkill in the cake department (there was still chocolate log and cheesecake left), but we had already bought clotted cream and jam. How else were we going to use them up?! 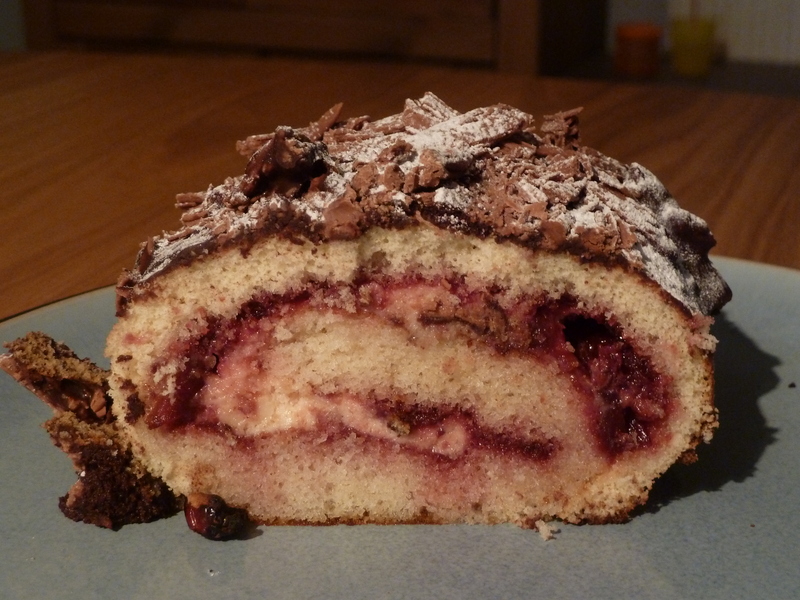 This was the July recipe from my Home Baking 2014 calendar. 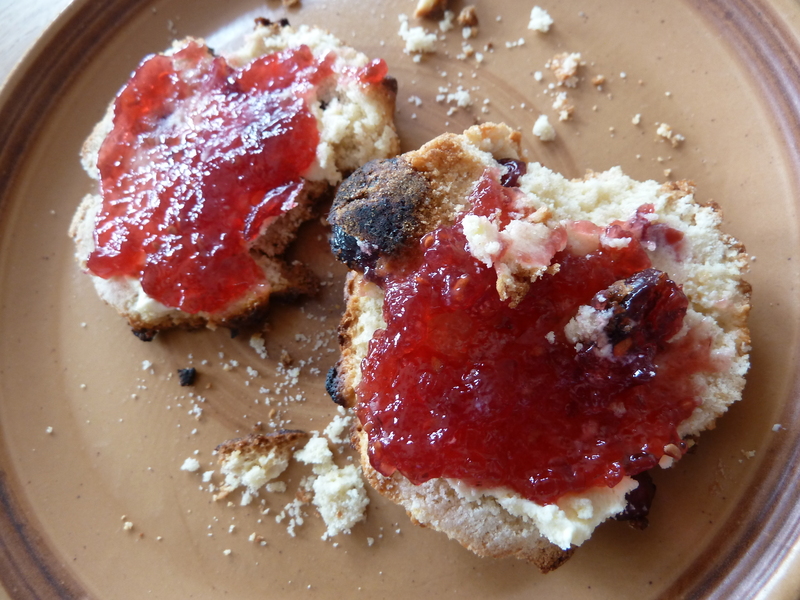 Totally having failed to make these scones in July, my family visiting for the weekend in August seemed like a good excuse to correct this – especially as we were considering a picnic and these seemed to make good picnic fare. As it transpired we didn’t end up going on a picnic (the weather was somewhat against us), but they made a good ‘take what you like’ tea on the Saturday evening. The scones actually call for Stilton cheese, but we didn’t have any so I went with cheddar instead. It worked fine (ignoring the fact that I nearly forgot to add it and had to fold it into the mixture at the last minute). These scones are a bit of a faff to make because you have to cook and mash potatoes first, but as long as you’re prepared for this and do it advance, the rest is just a standard scone mixture. They don’t rise in the oven though, so you do have to make sure you roll out the dough to the size you want it to be (personally I think that I made it a little too flat and the rounds a little too big). But all the scones did get eaten within 12 hours, so they must have tasted OK.
Don’t be fooled by the name, this chocolate log is good any time of the year. Although it does also work well at Christmas. This was the only proper ‘cake’ I made for the weekend my family was here, although I did do plenty of baking (see the gleaming maple cheesecake, savoury potato and cheese scones and scones of splendour). I’ve made this before (or versions of it), with varying degrees of success. But when it works well, it works really, really well. And this time round, it worked well. The actual log isn’t chocolate, it’s vanilla with a cream, creme fraiche and morello cherry conserve filling. The topping, however, is a dark chocolate and double cream topping which is then covered with chopped-up Flakes. Finally, icing sugar is sifted over the top to give a snow-like effect. It all tastes absolutely wonderful, and horribly unhealthy. But when things taste this good, I’m happy to die. … and, thankfully, the pictures not too deceiving. It’s actually a pretty simple cheesecake to make. 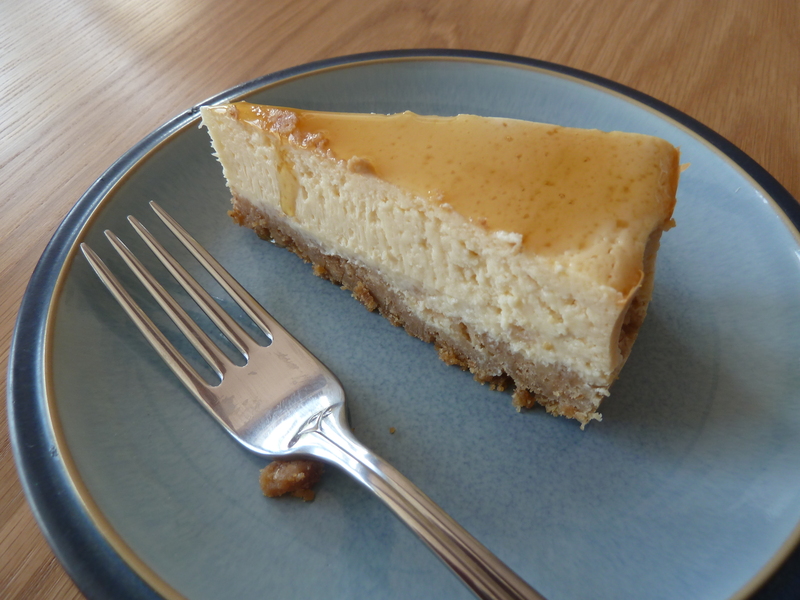 Apart from the maple syrup, it’s a fairly traditional baked cheesecake recipe that takes a hour or so to cook in the oven, then needs to be left in the fridge overnight to harden up. But it does taste good. The recipe says to serve it with maple syrup added on top, but I wasn’t sure if this would make it too sweet. Instead, I left the maple syrup out and let people choose themselves whether or not to add any extra. 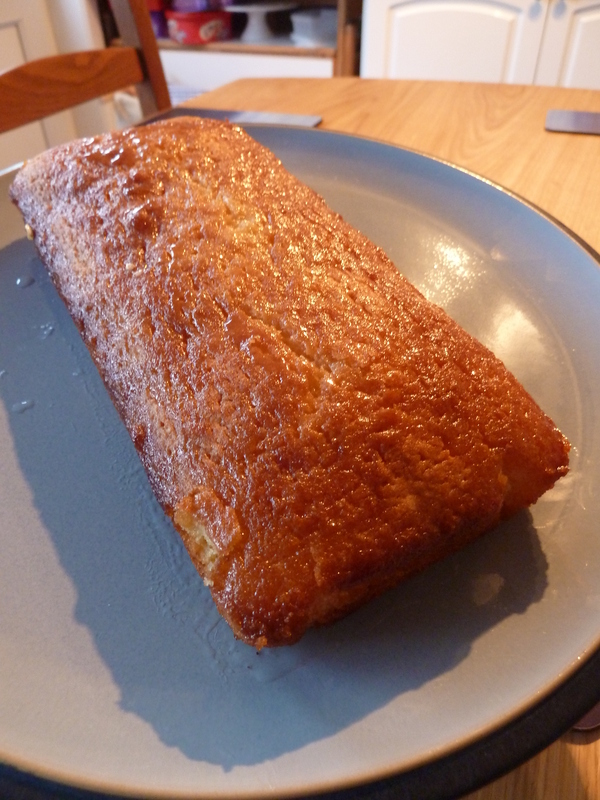 Everybody did, and it worked out (so in future perhaps I will add the syrup the way the recipe suggests. It was just the right sweetness with it). Again, not necessarily a recipe I’d choose to make at Christmas time (when there are enough sweet things in the house and this probably wouldn’t be appreciated), but definitely something I’d make again if I was just looking for a tasty cheesecake. The second (planned) dish that I made for my parents was this lamb and date tagine. I wanted something easy to make whilst we were running around sorting out carpets and furniture, and this tagine required two hours in the oven, leaving us to get on with more useful things. The only (slightly) complex part of this recipe was frying up all the ingredients before putting it the oven – but this was actually only onions, lamb and a bunch of spices. You then add pomegranate juice and dates before putting it in the oven on a low temperature for two hours. Thankfully though, the final result was pretty good and we ended up with a tasty tagine. I did add potatoes and boiled veg, as this isn’t really a meal in itself (it’s basically meat and spices). This recipe is from Nigella Christmas, but I’m not convinced it’s something I’d choose to make at Christmas time. I would make it again, but just as a standard casserole-type meal. Oh, and a final note of warning – if you’re not used to cooking dates, the insides are quite pink. They look like uncooked lamb, which can be a little disconcerting when you’re also eating lamb. Just make sure you’ve browned all the lamb before adding it to the rest of the tagine, and you should be fine! It’s been a while since I’ve done any real baking or cooking – my last proper effort was back at the beginning of July when I made the baby in a pram cake for a gathering of friends at our house. But at the end of July/ beginning of August we had a lot of visitors over the course of a couple of weeks, so I started to make a bit more of an effort when it came to baking. The first visitors were my parents, who came to help us take up our old carpets and move furniture ready for the new ones. I made a couple of dishes for them – these brownies and a lamb and date tagine. Having said that, I hadn’t initially planned to make these brownies for any particular reason; I just saw the recipe in one of the children’s cookbooks I have and thought that they looked really tasty. As it turned out, we found out that week that our carpets were getting fitted in a few days time, so these brownies helped to feed me, Dan, my parents and the carpet fitters. Suffice to say, they didn’t last very long. At least they were appreciated (I thought they tasted pretty good anyway). These are exactly the sort of brownies I like – not too sticky, but super chocolatey and just the right texture. I didn’t do quite as good a job of icing them as I could have (I have no evidence of this because I failed to take any photos, but I know you’ll believe me). I was being lazy and instead of doing it the way I know works (piping bag, use a cocktail stick for the feathering) I followed the clearly simplified instructions in the recipe (use a spoon and a knife), and it looked a bit, well, homemade. Not to worry though, they tasted fine. Well, this was disappointing. I was looking for something quick and easy to make, and had both left-over salmon and left-over cottage cheese. 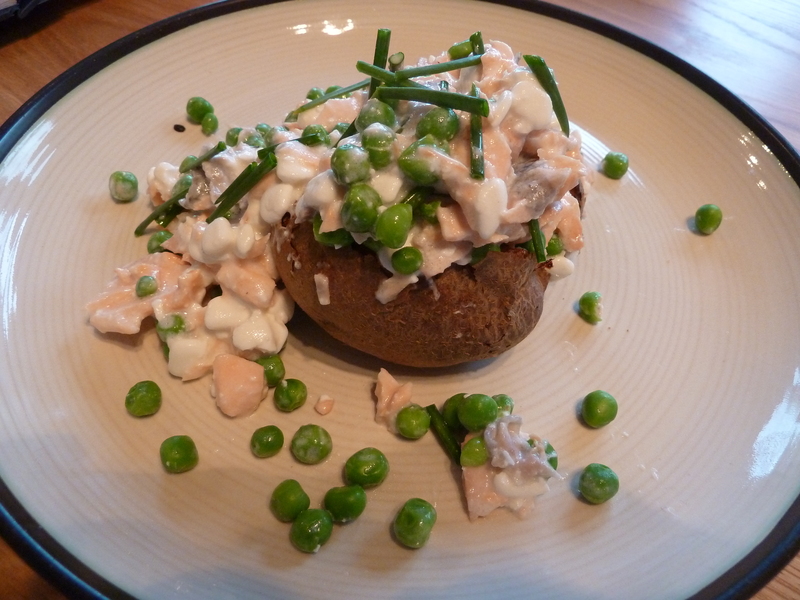 So this quick and easy salmon jacket potato seemed like a great choice. The problem with it was that it’s so, well, boring. Now, I admit that I probably didn’t help matters by microwaving the salmon. But I was tired, and really hungry, and just not willing to wait 15 minutes whilst the oven heated up and cooked the salmon. But, you know, there’s only so much you can do with salmon, cottage cheese, pepper, chives and potato. Individually I like all those ingredients (perhaps with the exception of the cottage cheese, which, I admit, I’ve always found a little dull – and with rather an odd texture), but I’d have been much happier with boiled potatoes, grilled salmon and a cheese sauce. But that would have taken far, far too long. Not something I’m planning on trying again in the near future. Recipe: Save with Jamie, pg.